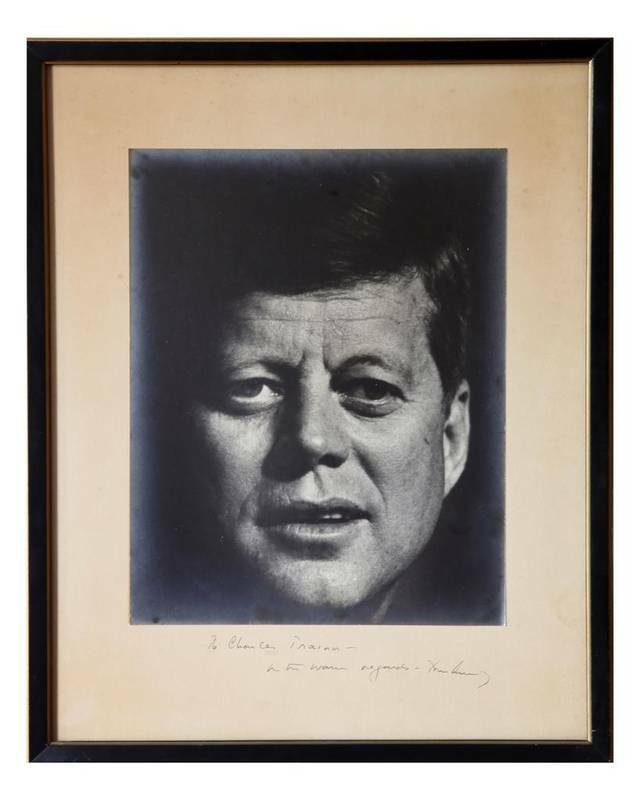 Portrait of U.S. President John F. Kennedy, taken at a dinner held for Florida Senator George Smathers at the Fontainebleau Hotel on Miami Beach, on March 10, 1962. This is a framed print of the photograph, printed by the photographer, Charles Trainor, photographer for The Miami News. There was another bond that united the two prints. On Nov. 22, 1963, I was in Miss Addington’s third-grade class at John G. Dupuis Elementary School in Hialeah. Early that afternoon an announcement was made that the president had been shot and had died while on a trip to Dallas. We all were dismissed from school. We didn’t talk much as we headed home across the school field, and I’m not sure how much we understood that this day would resonate in history. As I entered my house my mother was crying on the couch, my father’s portrait of Kennedy on the wall near the dining-room table, always impressive to guests. My parents were proud to have a connection to the popular, charismatic president — our strong Irish heritage. My mother was born in Dublin, and I still have on my bookshelf a photograph of my father’s grandmother’s grandmother, who came from Ireland to this country through Ellis Island. 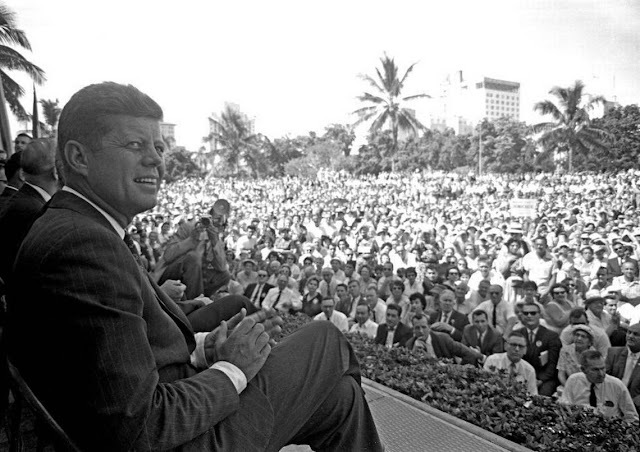 That afternoon, my father’s photograph of Kennedy was delivered to our doorstep, published on the front page of The Miami News, Miami’s afternoon newspaper. It took up almost the entire page with a simple headline, “The Man.” There was one column of type on the left side of the page written by Bill Baggs, the editor. 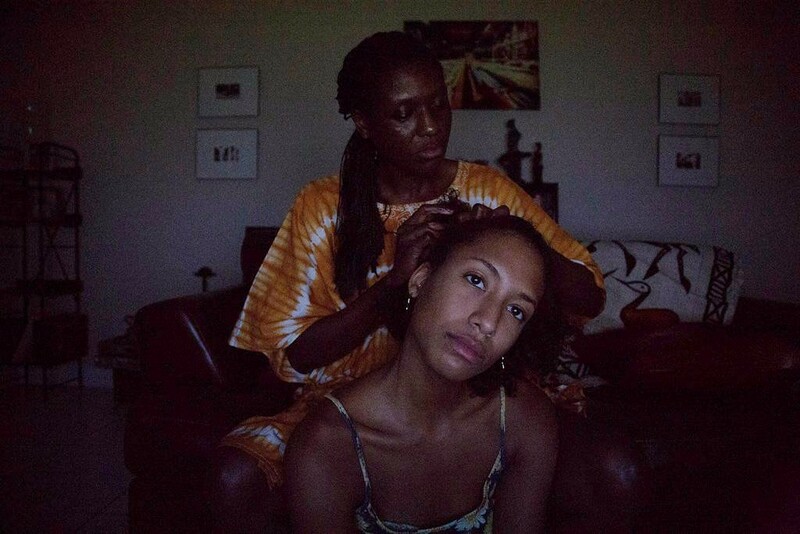 Over the years the portrait has graced the walls of our family’s homes as it was handed down, the strength of the photograph almost creating the presence of another person in the room. On March 10, 1962, my father was assigned to cover Kennedy at a fundraising event at the Fontainebleau hotel on Miami Beach. 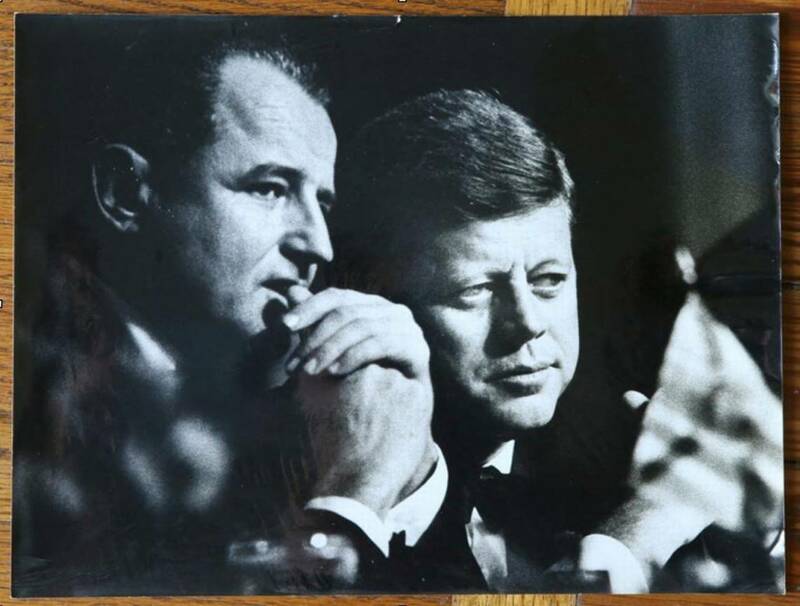 Kennedy was sitting at a long dinner table, in formal wear, next to his close friend Florida Sen. George Smathers. That day, my father was trying out an early version of a 300mm 2.8 lens — a monster for its time. I think the lens caught Kennedy’s eye because the president is looking straight down the barrel of it, inquisitively. The setting, his expression, my father’s lonely shot made it look almost as if it were a private portrait sitting, even though it was at a dinner table with scores of people around the president. It just came together in a serendipitously special way. 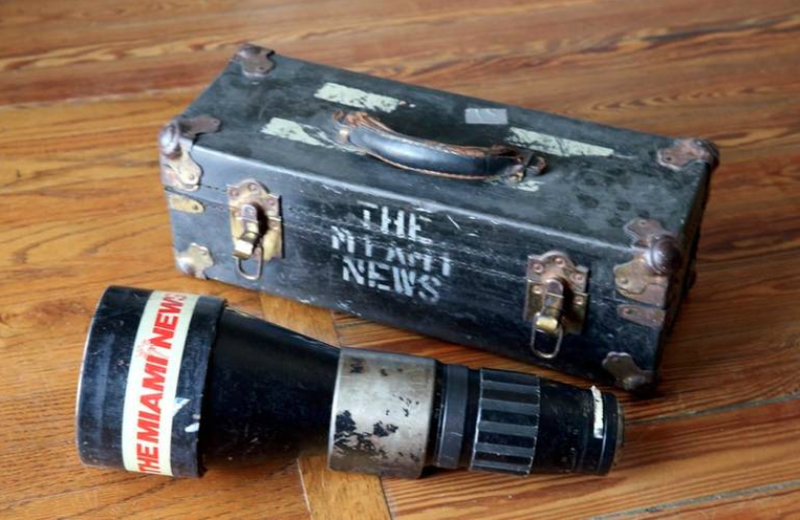 In 1988, when The Miami News folded, Pete Cross, a former director of photography at the Miami Herald, which was in the same bayfront building, was wise enough to salvage the lens my father used to take Kennedy’s photograph from the equipment locker room. The lens came in a specially made wooden Miami News case, now a family heirloom. And how did my father get President John F. Kennedy to sign the print? Smathers, who was there with Kennedy that night, helped. Later, when Smathers saw the image, he asked my father for a copy and took it to the White House, where the president signed the mat surrounding the print. The signature has been authenticated. 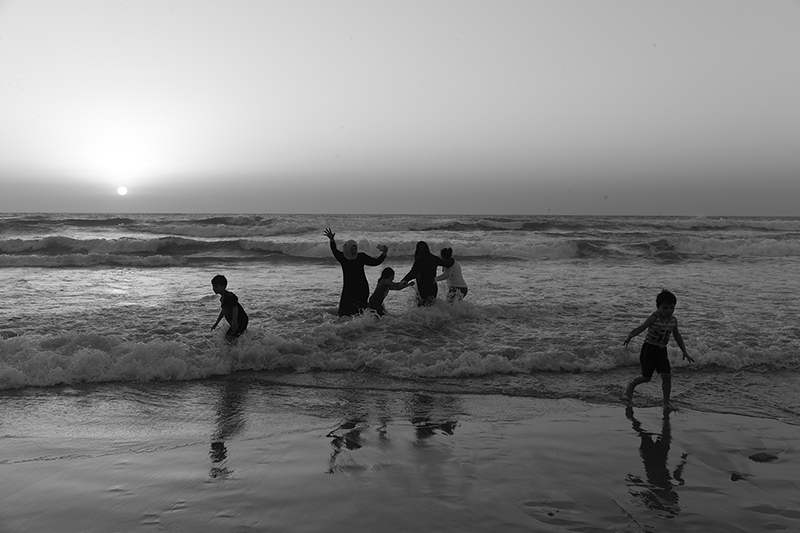 Here’s the sad ending: Only a few prints of this photograph have survived — and my father told me he lost the negative. 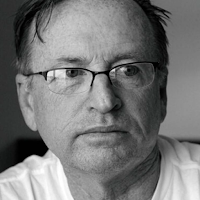 CHARLES TRAINOR JR. IS A MIAMI HERALD PHOTOGRAPHER. 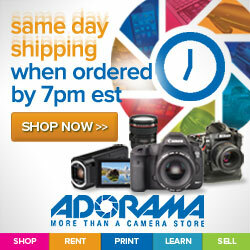 HIS FATHER WAS A MIAMI NEWS PHOTOGRAPHER FROM THE MID-1950S TO 1987. Today marks my 34th year of photojournalism at the Miami Herald. Many people would say I take pictures but I do much more than that. 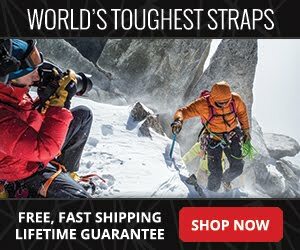 As a photojournalist I capture the soul of a fleeting moment, a fraction of time in history with all the emotion that goes with it and bring it home to you, the viewer. All this I do in the hopes of making a difference. I am privileged to have the opportunity to do so. 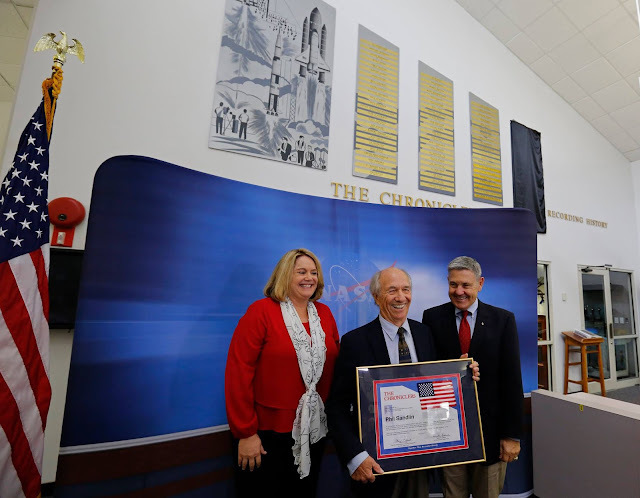 Retired AP photographer Phil Sandlin was recognized on May 5, 2017 at the Kennedy Space Center for his work over the years covering the space program from the Apollo missions to the Space Shuttle. 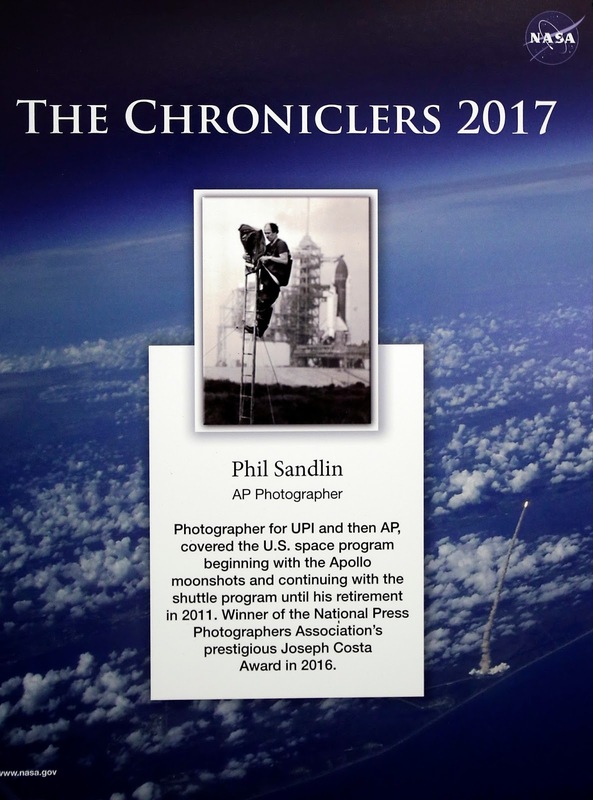 Sandlin has been added to KSC's "Chroniclers" Roll of Honor. 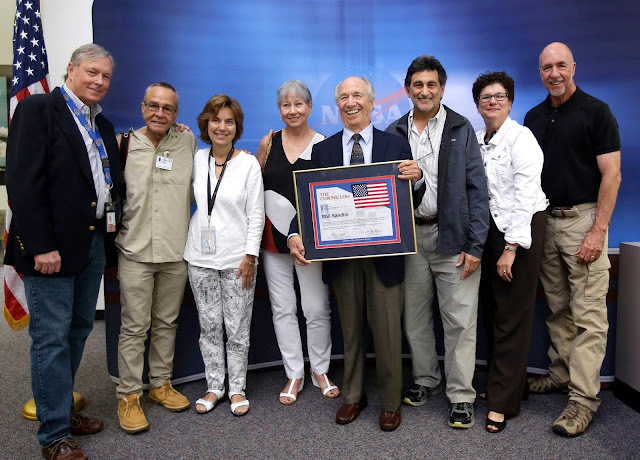 A photographer for United Press International and then The Associated Press, Sandlin covered the U.S. space program from the Apollo missions to the moon through the shuttle program until his retirement in 2011. Sandlin was winner of the National Press Photographers Association’s prestigious Joseph Costa Award in 2016. 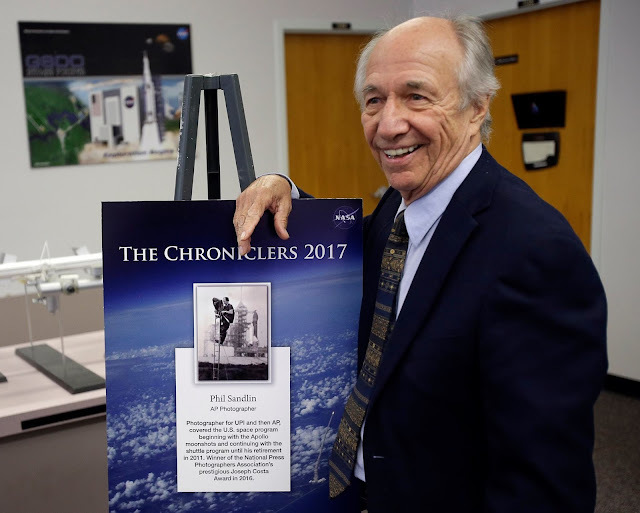 Phil Sandlin, along with Bruce Hall, Scott Harris, Bill Johnson, Warren Leary and Bob Murray were selected by a committee of their peers to be the 2017 Chroniclers. 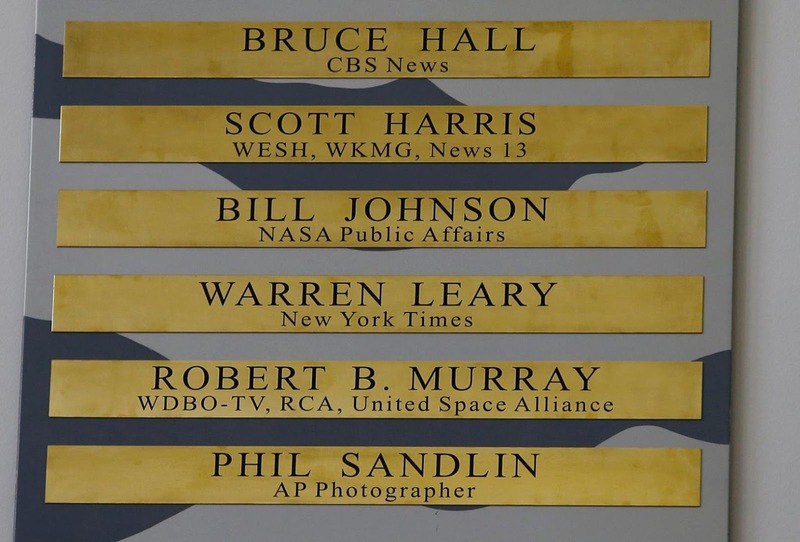 Brass strips engraved with their names have been added to the list, which recognizes retirees of the news and communications business who helped spread news of American space exploration from Kennedy Space Center for ten years or more. 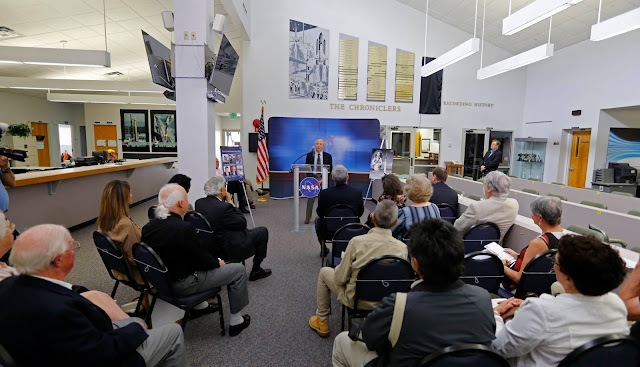 All are known for their excellence in communicating spaceflight’s stories to a global audience. “I’m humbled and honored being paired with so many newsmen and photographers on the wall at Kennedy Space Center. 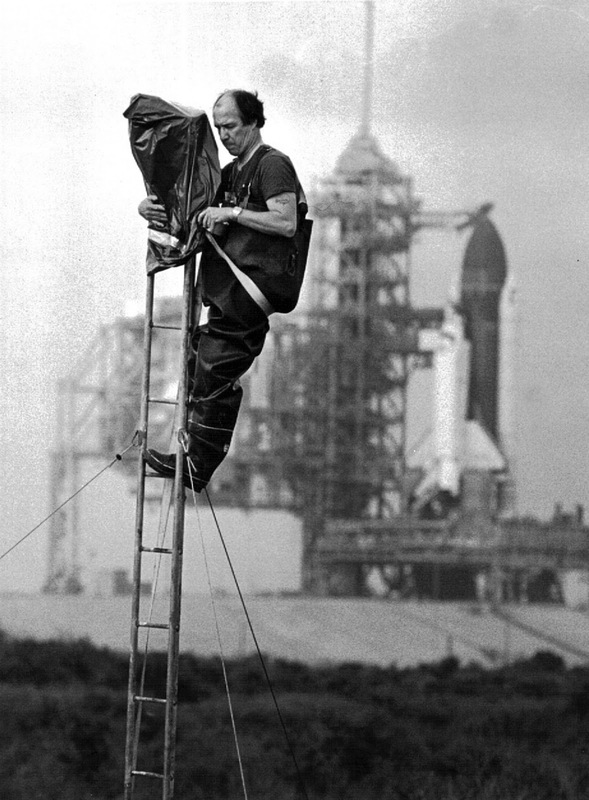 The space project was to me the most interesting and challenging of stories I covered during my career. 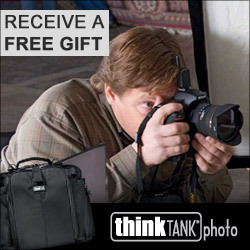 All the work I did was only possible with the support of staffers and photographers that worked with me.” Sandlin said. For 50 years Sandlin has documented Florida's tumultous and often bizarre news for the Associated Press and United Press International, building a career and reputation as the consummate "wire man" who covered everything from the Civil Rights movement to space and lunar launches to refugees to presidential elections, hurricanes and other assorted coastal disasters. Along the way Sandlin also became known for his technical expertise, as well as mentoring young photographers and helping them build their own careers. Joe Skipper, Alan Diaz, AP space writer Marcia Dunn, Johnsie Sandlin, Phil Sndlin, Terry Renna, Marta Lavandier and John Raoux. Two other regulars, Peter Cosgrove and Chris O'Meara were unable to attend but were there in spirit. If you're local, make sure to stop by Leica Store Miami for our monthly Leica Lounge series on Thursday, May 4, 2017. 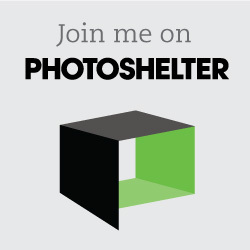 This month's presenter, photographer Ashley Sebok, will be discussing Tableau Photography. To learn more about Ashley and the Leica Lounge, click here. As always, Leica Lounge is proudly sponsored by Brooklyn Brewery. Bring a friend and try out some of Brooklyn's latest brews.